For me and some good friends of mine, Espresso Vivace is like the holy grail of coffee. When I was training at my second shop, my boss gave me a copy of Dave Schomer’s Techniques of the Barista. He wanted me to learn some fundamental espresso knowledge that I clearly lacked. I read it in one sitting, loved it. Some friends had also read it and we began to discuss and practice the various methods at our jobs and at home. Soon, we had all subscribed to Schomer’s methods of espresso and wanted to take a trip up to Seattle to see the shop for ourselves. 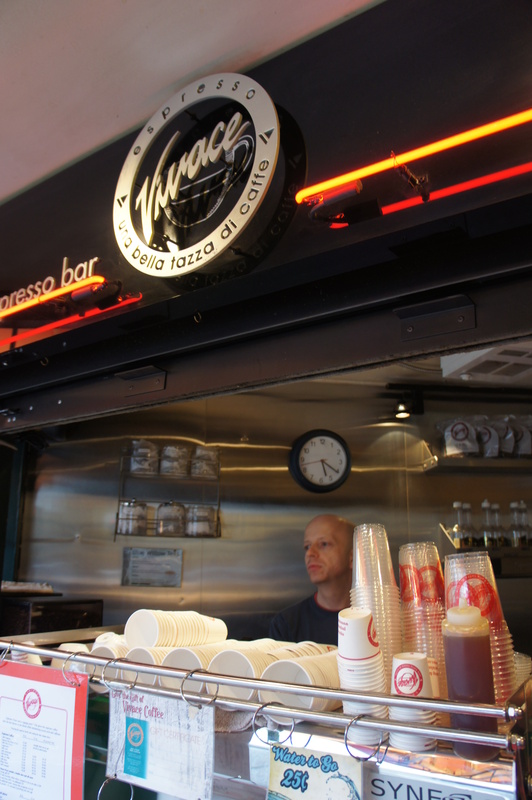 Rather than attempt to retell the history of Espresso Vivace and risk misrepretentation, I will defer to their website and recommend you read it in their words: https://www.espressovivace.com/intro.html. Let’s just say, this place is a legacy. While our original road trip up north never materialized, I was luckily able to sneak away during an academic conference this last spring for a visit. I decided to visit the original EV location, a sidewalk bar on Broadway up on Capitol Hill. After a long walk through the Seattle rain, I arrived at this unassuming gem. Who would know such a simple stand could have such a deep legacy in coffee? Such charm! 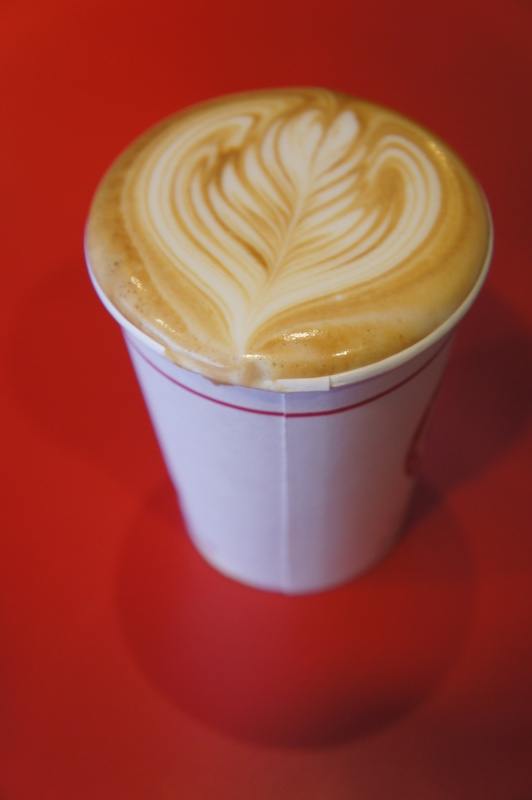 Filled with excitement, I ordered my cap and chatted with the baristas about what little I knew about Seattle Coffee. The barista told me that the flagship store (the one you have likely seen in the Schomer videos) was just a few blocks up the road. Though this first cap was more than satisfying, I couldn’t resist a second. Just a short stroll away, I found myself at the doorsteps of another part of Espresso Vivace history. Clearly, many other stores in California and Seattle have taken major notes from the design and lay out; from the wood aesthetics to the shape of the bar, Espresso Vivace has itself deeply rooted in the industry in more ways then just espresso techniques. And, the second cap was just as good as the first. While the store might have been my “holy grail,” I cannot say it will wow everyone the same way. Part of it certainly was my adoption of Schomer’s techniques and desire to see “where it all started.” I also recognize that some might consider their espresso “old school” and quite different from California or East Coast styles. Some might even call it “too ordinary.” Certainly a valid argument. Just like any other confection, flavors and preferences depend on the individual. But I would certainly argue against calling it ordinary as it is anything but. As such, I encourage anyone in Seattle to take a trip to these stores, not only because of the history surrounding the company (not to mention their connections with Synesso), but because they have been outstanding cappuccinos and some of the most solid espresso for decades (and decades to come).